I usually like to do some nail art for Easter (or any occasion for that matter), but I’ve had a cold since Tuesday and it’s not letting up so I didn’t have the energy to dedicate to nail art. However, glitter polishes are an easy way to have a fun manicure without putting any energy into it, so that’s what I decided to go with. 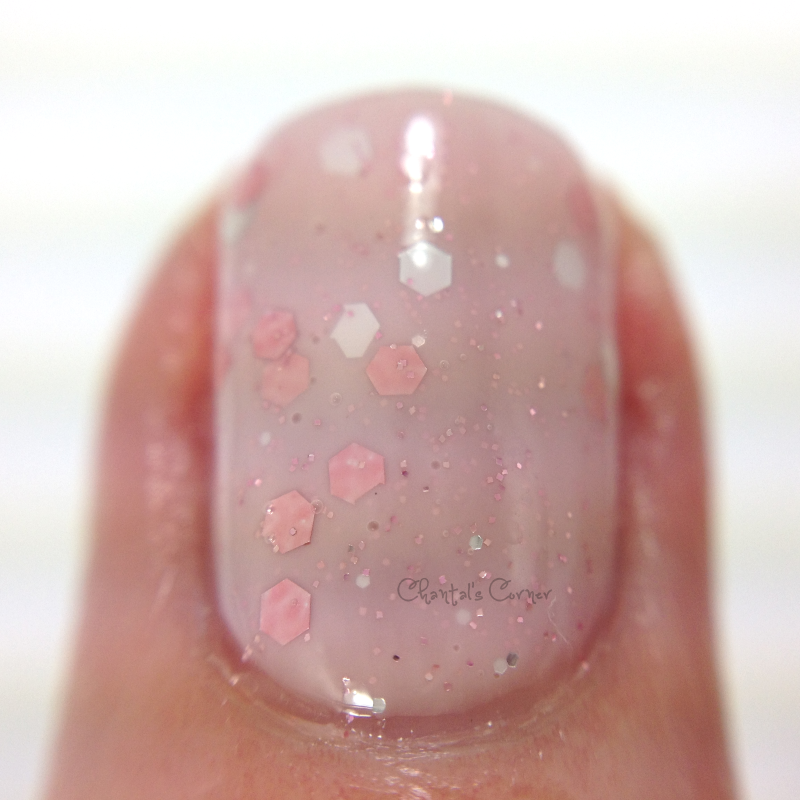 This polish also ties in with the Canadian Beauty Bloggers’ Theme of the Month which is pastels. 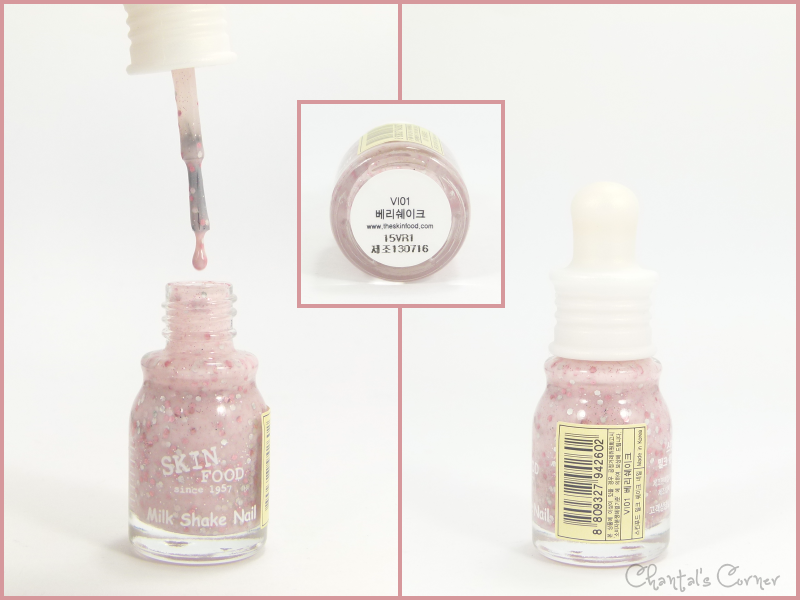 Let’s take a look at Skinfood Milk Shake Nail in VI01 Berry Shake. First off, how cute is this bottle?!? The brush is the typical round brush and it works well. This nail polish has a milky pink crelly base with micro pink glitters, mini silver glitters, and pink and white “regular” glitters. This polish is a bit sheer, but that is to be expected for this type of polish and three coats are usually the norm as well, which is what I did. I then finished it off with two generous layers of top coat because the glitters give a bumpy finish and I love myself a smooth finish. I figured that this polish would be good for Easter given the pastel pink colour, and the glitters give it a bit of a speckled egg effect. I love it! I bought this nail polish on RoseRoseShop for $2.50 USD. What do you think of this one? Did you do some Easter nail art?